This powerful formula features supercritically extracted, highly potent perilla seed oil, a plant-based alternative to fish oil or krill oil. 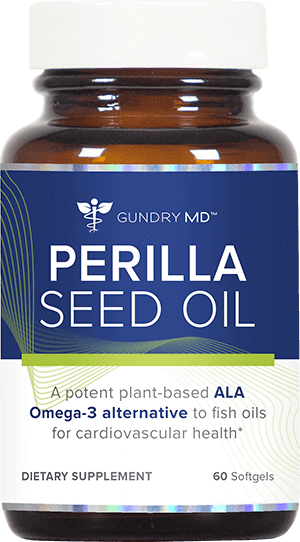 Gundry MD™ Perilla Seed Oil features an optimal ratio of Omega 3 to Omega 6 fatty acids in order to support healthy joints and cardiovascular function. Support and maintain a healthy cardiovascular system. Enjoy highly-mobile, comfortable joints, even as they age. Optimize their health with a highly bioavailable ALA formula. 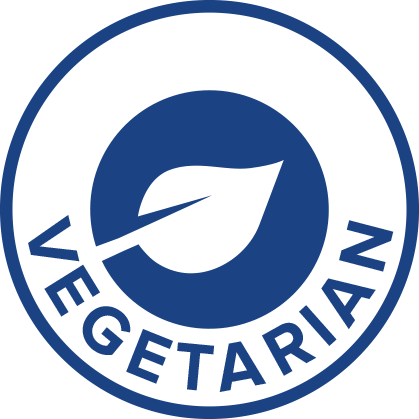 Experience the benefits of fish oil in a plant-derived vegetarian formula. If you don’t love your results with Gundry MD™ Perilla Seed Oil – or any of our supplements – our customer support team will gladly refund your purchase, even if you’ve already used the product. WHAT’S IN PERILLA SEED OIL? Gundry MD™ Perilla Seed Oil is made from Verilla™ Perilla Seed Oil, a highly potent patented formulation renowned for its proprietary Deep Extract® extraction process. 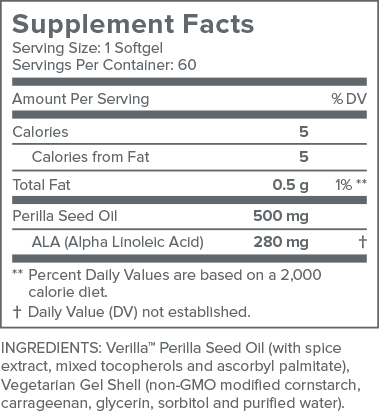 Verilla™ Perilla Seed Oil is formulated to deliver the optimal ratio of Omega 3 to Omega 6 fatty acids for human health. WHO SHOULD USE PERILLA SEED OIL? Gundry MD™ Perilla Seed Oil is perfect for anyone who wants to maintain a healthy body as they age. It is designed to support your cardiovascular system for enduring heart and circulation health. In addition, Perilla Seed Oil provides the body with joint health support, to help people continue to enjoy mobile, comfortable joints as they age. HOW DO I USE GUNDRY MD™ PERILLA SEED OIL? To enjoy the joint and cardiovascular support benefits of Gundry MD™ Perilla Seed Oil, take one easy-to-swallow softgel per day. For best results, take with a meal, as well as a full glass of water. HOW SAFE IS PERILLA SEED OIL? 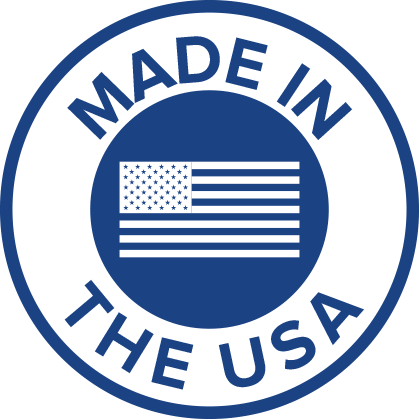 Gundry MD™ Perilla Seed Oil contains only natural, safe ingredients, and is a completely vegetarian product. 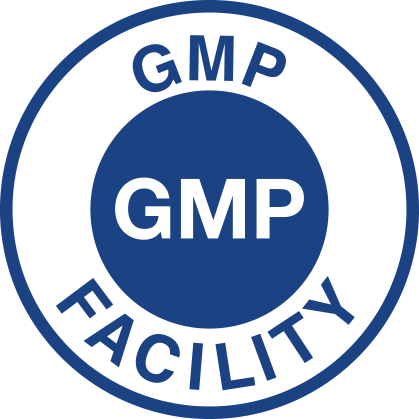 Here at Gundry MD™, we pride ourselves on the purity and potency of our formulas, so every product we make undergoes extensive testing at independent, 3rd party labs. WHAT IF GUNDRY MD™ PERILLA SEED OIL DOESN’T WORK FOR ME? We understand that different bodies can react to formulas differently, so if you don’t see the results you want, we’ve got you covered. 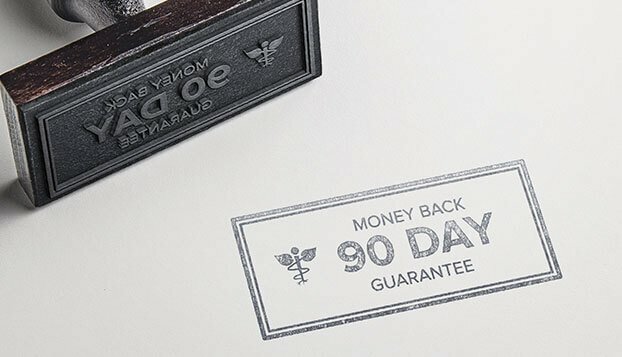 If you’re not happy with your results from Gundry MD™ Perilla Seed Oil for any reason, don’t worry – your purchase is covered by our 90-Day Money Back Guarantee. That means our customer service team will issue a refund if you’re not 100% thrilled with your product – no questions, no hassle. We wish we had know about this product sooner. We both have arthritis issues due to aging. Noticing an improvement on movement. I have had a minor issue with adult acne, strangely after taking the Perilla Seed oil it is completely gone? Anyone else notice similar results? My smile is bigger too!!! Thank you Dr. Gundry!!! I was unable to take fish oil due to excessive bruising, and I tried multiple well-regarded brands. However, I needed something for my joints. Gundry MD’s Perilla Seed Oil has been the perfect solution for me. Not only are my joints doing better, but I don’t get the excessive bruising that fish oil caused.